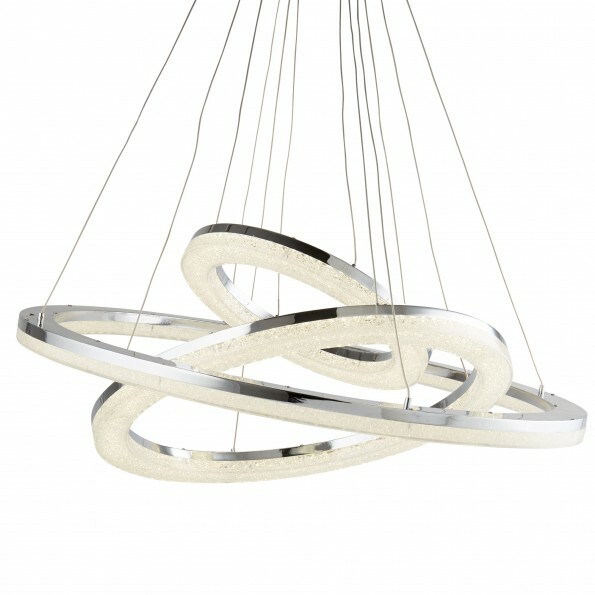 This beautifully elegant chrome ring pendant features 3 cross over rings coated in crushed ice. 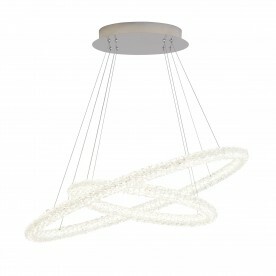 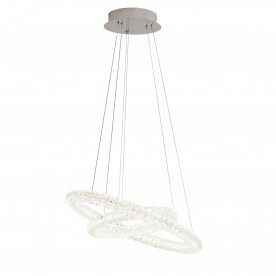 The lights sit below many slim chrome cords that will attach to the ceiling of your home. 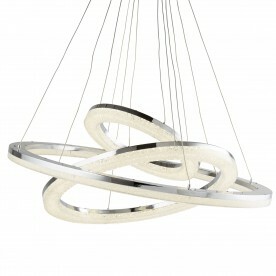 Ideal for adding the wow factor to your interiors, particularly living rooms or bedrooms.